Annoyed by your jumble of keys hanging off of your keychain? KeySmart offers up their eponymously-named product to wrangle those keys into submission. 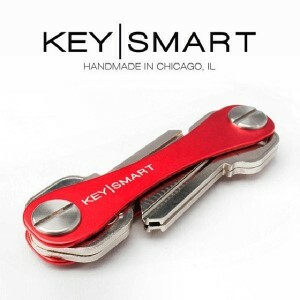 KeySmart consists of 2 laser-cut flat aluminum bars held together at its opposing ends by screws. Your keys fit in between the bars and rotate around the screw columns. KeySmart prides itself on a precision-assembled product, a process that they show off in a video on their website, but it’s not a false claim. I could tell this as I was going through the steps of disassembling and then reassembling my unit. Once I put my 3 keys into the KeySmart, I found that I could one of two ways on assembly – either leave the keys loose, or insert as many of the accompanying washers on the screw column so that when you tighten the 2nd bar on, the enclosed keys wouldn’t be able to rotate without some effort on your part. In the loose configuration, your keys are going to be spilling out all the time. I ended up using the expander to increase the space between the 2 metal bars and to allow for more keys and/or accessories. As you can see from the accompanying photo, I have those colored rubber overlays on 2 of my keys so I can tell them apart. These add to the ‘size’ of the keys and make it impossible given the length of the KeySmart to fold the keys together like they demonstrate in the product literature. That’s ok – I just made my config loose and squeezed the keys on top of each other instead of side by side. You can also see in the photo where I’ve attached the KeySmart to my car key’s ring via an included key loop. There is also an optional USB thumb drive you could purchase that fits on the KeySmart. Or perhaps you may be more interested in the bottle opener. So do you need a KeySmart? Probably not. 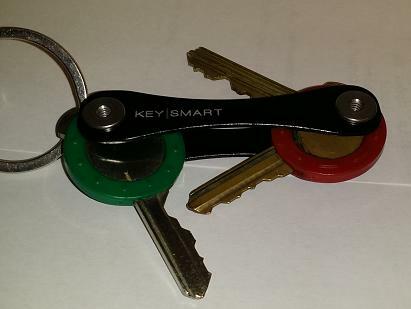 However, once you get your keys neatly packed away inside a KeySmart, it sure does look good! You can pick up a KeySmart for about $20 at Amazon or at KeySmart’s website. 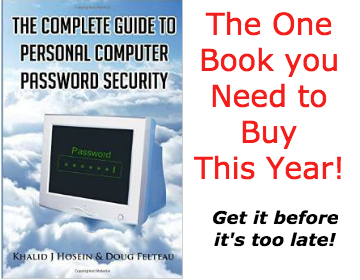 Have you tried KeySafe II? So in actual functional use comparison testing of both, you found the “key bar” better? I really like this product but I just wonder if how many keys or what is the maximum keys can this organizer store.